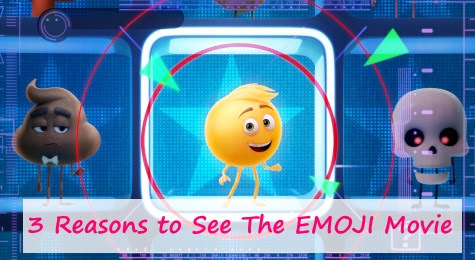 When I first saw the trailer for The EMOJI Movie, I thought "How can they make a movie based on an Emoji?!". I honestly didn't think it was a movie I'd be interested in seeing. My son on the other hand, begged me to see this movie. So you know what happen. 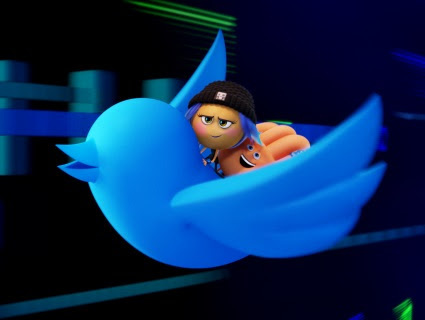 We went to The EMOJI Movie screening and I was surprised to enjoy it. Which my son got some satisfaction out of since he was the one who demanded to see it. Anyway. Really the trailer doesn't do this movie justice. There's a lot going on besides the poop jokes and funny Emoticons. There's some real stories there! So I wanted to share 3 reasons why I think you should go see this movie. Besides your kid begging! The main story lines follows Gene, a "meh" emoji who stands out because he has the ability to show much more emoticons. Just like in real life Gene and the audience learns that it's OK to be different then everyone else. We each bring something unique and special to our families, friends and community. Discover who you are and embrace it. While the story starts off with Gene, he's helped on his journey by other emoji including Hi-5 and Jailbreak. It's Jailbreak who just happens to be female, who's leads the adventure and helps Gene get to a place where he accepts himself. Plus she's a serious techie who knows her way all around their smartphone world. The city of Textopolis and the surround smartphone world offers LOTS of inside jokes for techies of all ages. 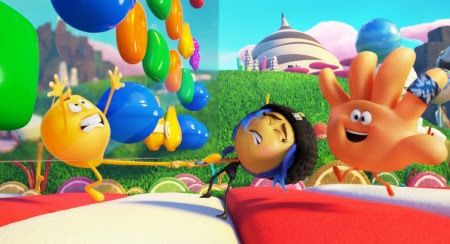 From a scene of kids ALL on their smartphones, to the forgotten emoticons (bye felicia) to the scenes of how we use YouTube to watch cat videos, the The EMOJI Movie is full of tech chuckles. It's a fun way to remind ourselves how technology and devices have taken over our lives. 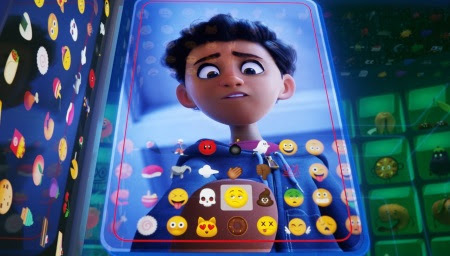 The Emoji Movie unlocks the never-before-seen secret world inside your smartphone. Hidden within the messaging app is Textopolis, a bustling city where all your favorite emojis live, hoping to be selected by the phone's user. In this world, each emoji has only one facial expression - except for Gene (T.J. Miller), an exuberant emoji who was born without a filter and is bursting with multiple expressions. Determined to become "normal" like the other emojis, Gene enlists the help of his handy best friend Hi-5 (James Corden) and the notorious code breaker emoji Jailbreak (Anna Faris). Together, they embark on an epic "app-venture" through the apps on the phone, each its own wild and fun world, to find the Code that will fix Gene. But when a greater danger threatens the phone, the fate of all emojis depends on these three unlikely friends who must save their world before it's deleted forever. Featuring the voices of T.J. Miller, James Corden, Anna Faris, Maya Rudolph, Steven Wright, Jennifer Coolidge, Jake T. Austin, Christina Aguilera, Sofia Vergara and Sir Patrick Stewart. The film is directed by Tony Leondis, produced by Michelle Raimo Kouyate, and screenplay by Tony Leondis & Eric Siegel and Mike White from a story by Tony Leondis & Eric Siegel. "emoji"™ is a trademark of emoji company GmbH used under license.